Screening of Period. End of Sentence. 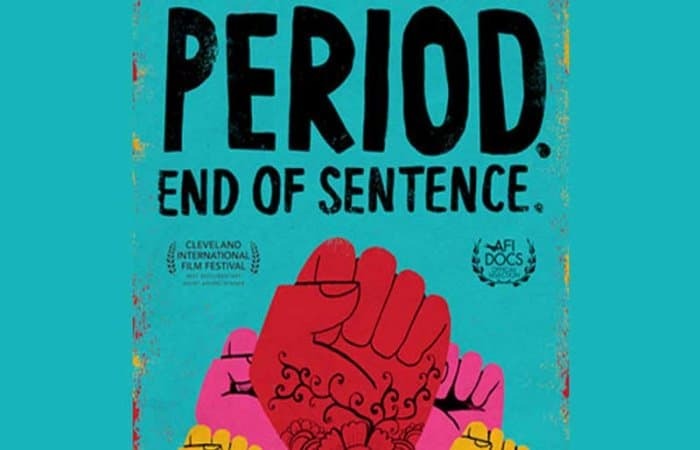 The NCJW/Essex Period.Project, TBA Social Action Committee and Sisterhood-The Women’s Connection present a screening of Period.End of Sentence., 2019 Academy Award winner for Best Documentary Short Film. The screening will be followed by a brief discussion on menstrual equity and current legislation in New Jersey. Coffee and dessert will be served. Please bring a box of pads or tampons to be donated to the Interfaith Hospitality Network of Essex County.